In the late 1600’s, an English scientist named Robert Hook was the first to observe plant cells with a crude microscope. Then, almost a century and a half later, in the 1830’s two German scientists proposed that all living things are composed of cells (Their names were Mathias Schleiden and Theodor Schwann). A German pathologist named Rudolph Virchow extended this idea by contending that cells arise only from other cells. Since the late 1800’s, cell research has seen astounding gains and provided us with four concepts collectively known as cell theory. 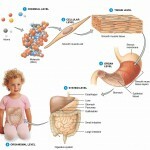 A cell is the basic structural and functional unit of living organisms. When you define cell properties, you define the properties of life. 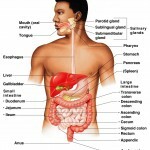 The activity of an organism depends on both the individual and the collective activities of its cells. According to the principle of complementarity of structure and function, the biochemical activities of cells are dictated by their shapes or forms, and by the relative number of their specific sub-cellular structures. Continuity of life from one generation to another has a cellular basis. Cells are the basis of life. 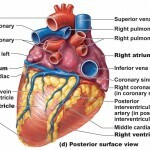 Some connect body parts and store nutrients, others fight disease and transport gases. 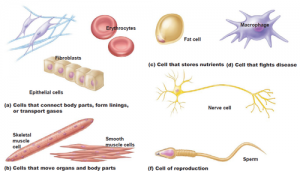 Some cells gather information and control certain body functions, while specialized cells are used for reproduction. These concepts will be expanded on as we progress and links will be posted to new material as it’s available. For now, lets begin with the idea that the cell is the smallest living unit. No matter its form, or how it behaves, the cell is a microscopic package that contains all the necessary parts to survive in a changing world. 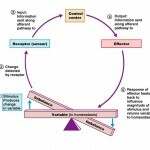 This is why the loss of cellular homeostasis underlies virtually every disease known to man. There are trillions of cells in the human body. These include over 200 different cell types that vary greatly in size, shape, and function. 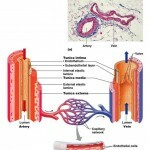 Red blood cells are disc-shaped, nerve cells branch, and kidney tubule cells are cubed. These are just a few examples of the shape cells take. Cells vary in length as well – ranging from 2 micrometers in the smallest cells to over a meter in the nerve cells you wiggle your toes with. Generally, a cell’s shape reflects its function. 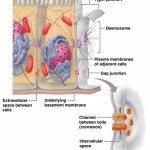 For example, the epithelial cells that line the inside of your cheek are flat and fit closely together like floor tile, forming a living barrier that protects underlying tissues from bacterial invasion. Regardless of the type, all cells are mainly composed of carbon, nitrogen, hydrogen, oxygen, and trace amounts of a few other elements. 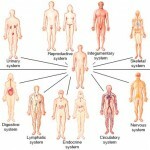 In addition, all cells have the same basic parts and some common functions. Because of this, it is possible to speak of a generalized, or composite, cell. 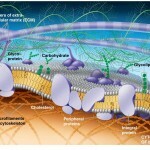 The plasma membrane: the outer boundary of the cell. The cytoplasm: the intracellular fluid packed with organelles, small structures that perform specific cell functions. The nucleus: an organelle that controls cellular activities. Typically the nucleus resides near the cell’s center. Summarize the four key points of cell theory. 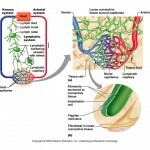 How would you explain the meaning of a “generalized”, or “composite” cell to someone?